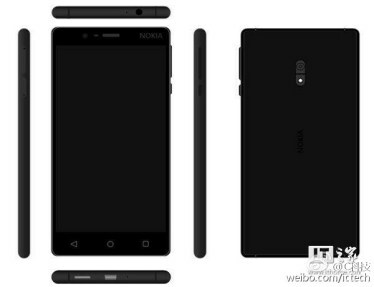 According to a new report, the next Nokia-branded Android smartphone will be unveiled by HMD Global in February, 2017, at Mobile World Congress. Currently known as Nokia D1C, the smartphone will be launched in two versions based on the amount of memory and display size. The most expensive of the two variants will cost $200, and it will come with 3GB of RAM and a 5.5-inch full HD (1080p) display. The cheaper version is rumored to cost just $150, but it will pack just2GB RAMand a smaller 5-inch display with full HD (1080p) resolution and will ship withAndroid 7.0 Nougatright out of the box. Previous reports also claim that the cheaper model will include a 13-megapixel main camera, whereas the slightly more expensive one will feature a much better 16-megapixel photo snapper on the back.